Although it’s always preservation month around here, May has officially held the title since 1973. 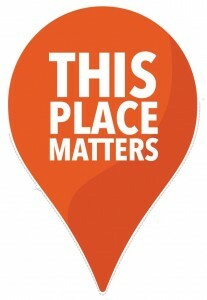 This is a great time to showcase the social and economic benefits of historic preservation! 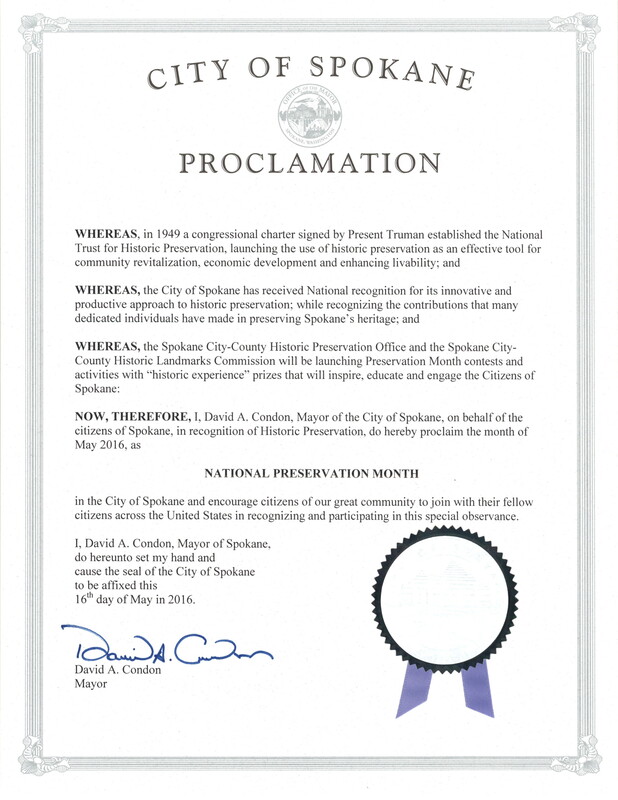 We had a great time celebrating the rich history of Spokane City and County last year. 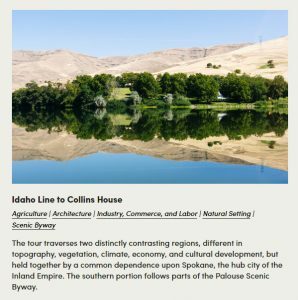 We had some wonderful news stories, lots of contest entries and some just wonderful comments from people exploring and learning about Spokane – all thanks to National Preservation Month! Last year our “Architectural Scavenger Hunt” took place in Browne’s Addition. We had lots of participants and several lucky winners who won fabulous “Spokane Historic Experience” prizes such as a tour of the Undercliff Mansion, tickets to the Spokane Preservation Advocate’s Fall Home Tour, a tour of the Masonic Lodge on Riverside (now Riverside Place) and a top of the Courthouse tour! We have lots of fun events planned for this year so go ahead and starting clicking! 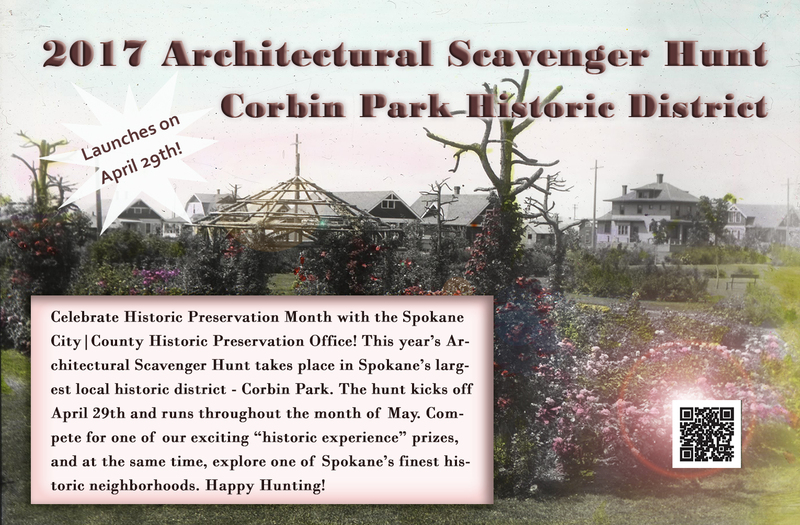 You could celebrate historic preservation in Spokane by participating in this year’s Architectural Scavenger Hunt! This hunt takes place in the Corbin Park Historic District and winds its way past beautiful historic residences – most built between the 1899 and 1914. You could win a tour of the privately owned Dill House on Cliff Drive; or how about the (also!) privately owned Kirtland Cutter designed Nuzum House on Sumner Avenue; two tickets to Spokane Preservation Advocates‘ Historic Home Tour or even a trip to the top of the Courthouse – Wow!! Click on the picture above to learn more about this year’s Architectural Scavenger Hunt, see the entry form, and choose from the four wonderful prizes! The 2017 Scavenger Hunt has now ended – check out the answers here! This year we’re celebrating in style! 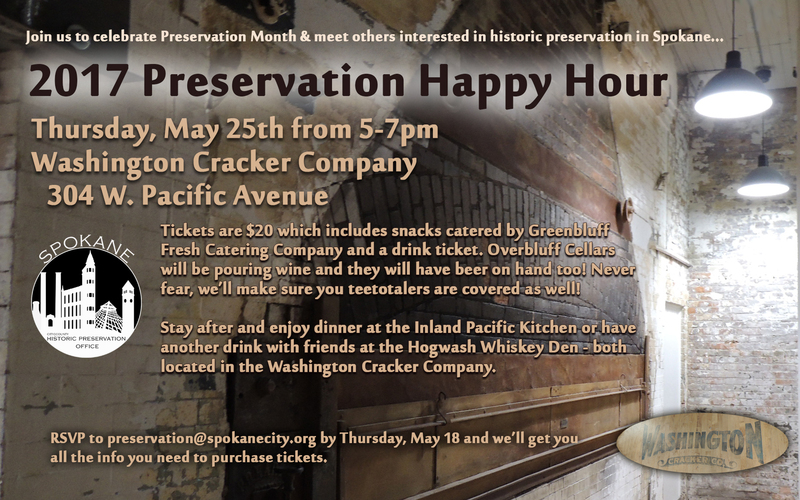 We’ll be hosting a fun “Preservation Happy Hour” at the Washington Cracker Company Building (304 W Pacific Avenue) on Thursday, May 25th from 5 to 7 pm. There’ll be a fun presentation on preservation success stories from the past year, presentations of Centennial Certificates to property owners who have properties that have crossed that magical 100 year mark, and maybe a few developers will tell us about exciting things going on with their buildings! Mingle with fellow preservation-lovers in one of Spokane’s iconic historic buildings! Space is limited so sign-up soon! Once we receive your response, we can instruct you on how to pay by credit card. Otherwise a check can be sent to: Historic Preservation Office, City Hall Third Floor, 808 W Spokane Falls Blvd, Spokane WA 99201. Some other cool things to check out during Preservation Month and beyond! 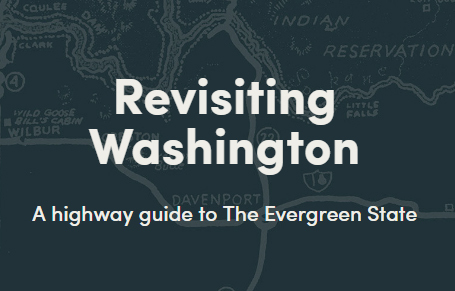 The Washington Trust for Historic Preservation has unveiled the Revisiting Washington: A Highway Guide to the Evergreen State website. This is a cool way to explore the historic sites of Washington and comes complete with tour segments across our great state. These are all the original tours from the Washington, A Guide to the Evergreen State first published in 1941 as our state’s contribution to the massive American Guide Series. Conceived as a Federal New Deal project during the Great Depression of the 1930s, the guides were part history, part cultural record and part travel maps. The Washington Guide was one of the last and largest to be published by any state. It was written in the rich, flowing narrative style of pre-war documentaries and was illustrated with moving illustrations and photographs by artists like Dorthea Lange. Check it out by clicking below!